Recently renovated 1134 Sq Ft. duplex in the heart of Hollywood features one 2/1 unit and one studio. 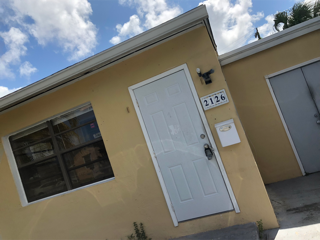 2/1 unit has a beautiful open floor plan, a sunroom, an upgraded kitchen with new appliances, and central A/C. Both units have upgraded bathrooms. The property sits on a large lot with a washer/dryer located in the back of the house to make it easy for both units to use. Only needs minor repairs to be rent ready!! 45k in equity.